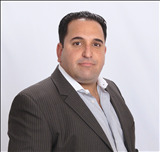 Matan Morag, PA At Regency Realty Services is a leading real estate agent in southeast Florida. As a Realtor Matan and his team offer services in multiple languages including Spanish, Russian, Hebrew, and Czech to name a few. Matan and closely aligned partners provide the utmost professionalism and personalized services offering a one-stop-shop with a complete array of services including assisting with stress-free mortgage lending, property management, investment analysis, sophisticated CMA reports, professional property staging, interior decorating, home inspections, insurance and repair estimation just to name a few. Matan is a prominent force in the local community and real estate industry, and has been for years, brokering millions of dollars in sales in 2015 alone. Armed with an intimate knowledge of South Florida, Matan has assembled a professional team with decades of experience to provide the best services and ensure as best as possible that every deal goes smooth all the way to the closing table. Matan offers a personalized approach ensuring his customers come first listening carefully to their goals and needs with serious attention to detail. His alliances and partnerships are all built on integrity and loyalty from long-term relationships and his goal is not simply selling a house and making a commission but becoming an integral partner with each customer every step of the way, particularly after the sale is complete. Matan is constantly setting new standards in the industry so customers can secure and build their wealth in a trustworthy and sound investment environment. Matan uses comprehensive marketing techniques with the latest technology that reach the widest audience so customers can find (buy) or sell a home for the best possible price and in their necessary time frame. Matan does extensive market research and continuously adapts to the market to meet each customer’s expectations, listening carefully and offering various solutions throughout the process. From single-family homes to condominiums, luxury and waterfront estates, whether you are buying or selling...call Matan for all your real estate needs. He offers consistent, open and honest communication with the utmost professional service that he depends on so you can trust. His first responsibility is to his customers since he represents your interests and provides the most complete individualized and personal service available. With fifteen plus years of experience individually, his full-time, multilingual team of real estate professionals is dedicated to serving you. He is fully prepared to assist you with all aspects of the real estate business. Matan graduated in finance and studied at the London School of Economics and earned a B.A. in finance from the University of Miami graduating at the top of his class. His detailed analysis of property values is as accurate and comprehensive as they get! His marketing is personalized and customized. He will do a thorough analysis to determine the market value and form the best possible selling strategies for your property. He is known for the effectiveness of his marketing locally and nationally and maintains strong personal relationships with many of the top real estate agents. As a member of the South Florida MLS, he has instant access to every property on the market. He listens carefully and is able to convert the needs of his customers into the best home in their desired location. Matan is very creative and an excellent problem-solver and negotiator. Through his experience and extensive list of contacts in the industry he can streamline the process from your initial inquiry to your closing day. What Matan does for you is invest his time consulting, negotiating, and organizing the details of your transaction. You deserve a professional with a quality, stress-free experience and that is why more than 80% of his new business comes from referrals. The purpose of our business is earning your referrals through our trusted professional and personalized services.